This sounds like fun....! Don't know about you, but I'm going to play. Want to chase the winter blues away? Join the hunt. Four authors. Five hidden images. One red-hot anthology. 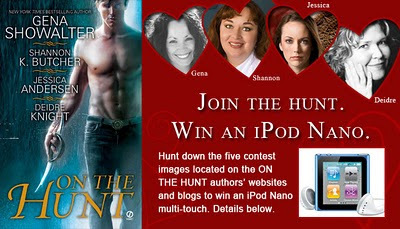 Hunt down the contest images hidden on Gena Showalter, Shannon K. Butcher, Jessica Andersen and Deidre Knight's online homes to win an iPod Nano multi-touch and a signed copy of ON THE HUNT. 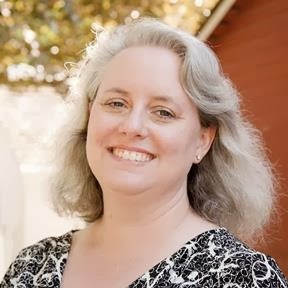 A second prize winner will add 10 sizzling Signet Eclipse releases to their bookshelf! The winners will be announced during our Valentine's Day Afterglow chat event on Thursday, February 17th @ 9pm ET. 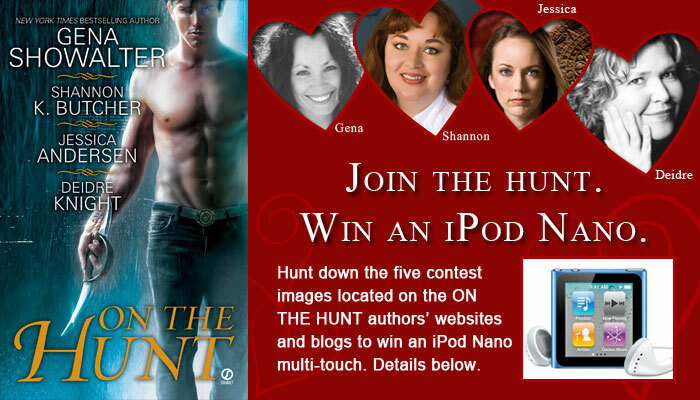 All of the ON THE HUNT authors will be on hand. Plus, there will be a few surprise giveaways for those that attend. 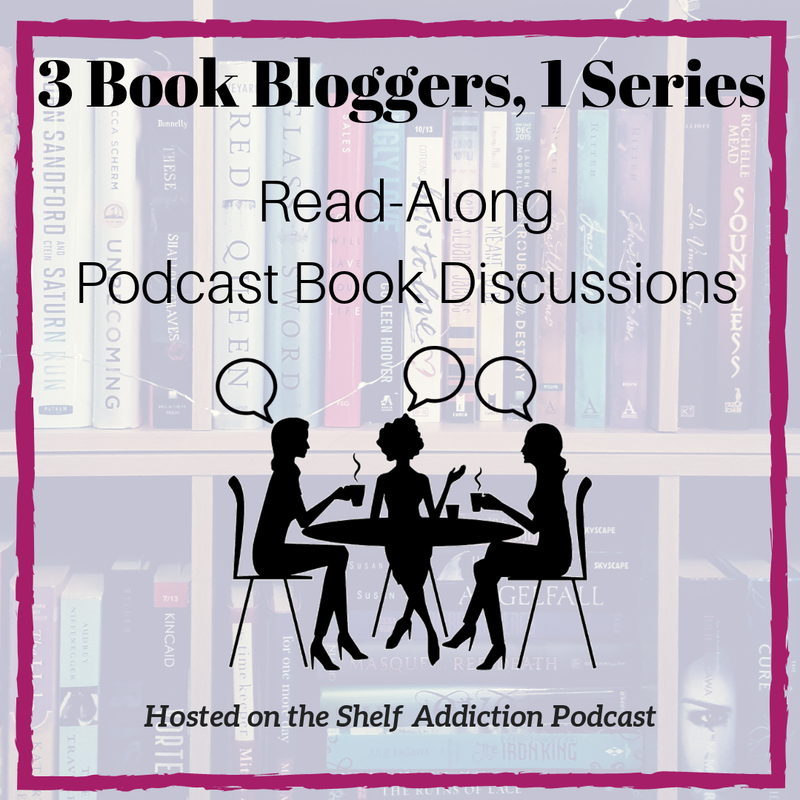 Bookmark our chat room - TKA Chats! Click here to find out how to join the hunt and take the exclusive "Hunter or Prey?" quiz.